I have been posting so much about spinning lately that one would think that I only make the yarn now. I do still knit, it has just taken a back seat lately. My current, and almost finished project are the Orange Pekoe socks, another sock club purchase in the CookieA sock and cookie club. The yarn is another that I had not tried before, Hazel Knits yarn. I am liking this yarn, and the soft orange color, almost like an orange creamscicle (one of my favorite childhood frozen treats). This is the harder of the 2 patterns this month, but I find it progressing much more quickly, and it is more fun for me to knit. Sometimes when a pattern is too simple, I loose my motivation. 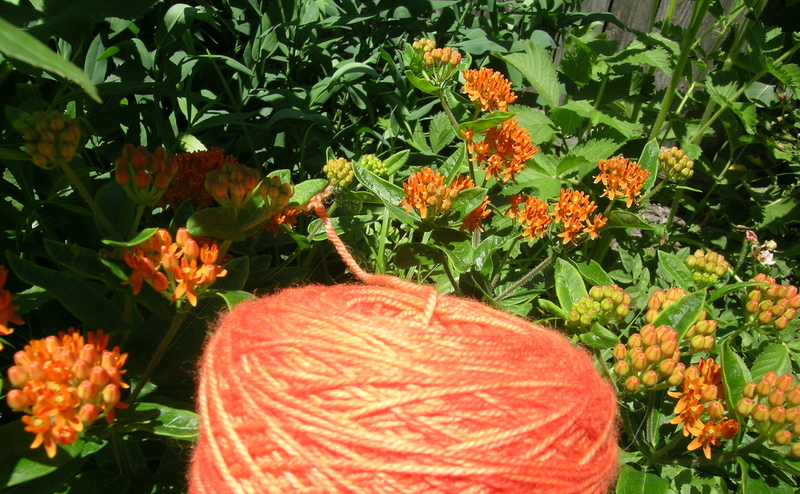 I need to catch up on my photographing, but doesn’t the yarn match the Butterfly Weed beautifully? 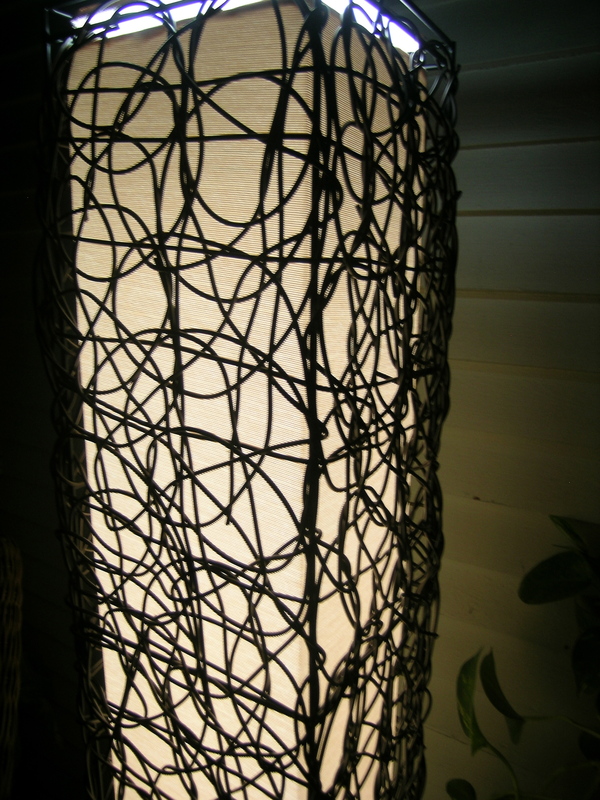 On a different note, I am loving this new outdoor light that we bought over the weekend. No, not IKEA. It is from Green Home Chicago, I had a Groupon. Really fun store, mostly building supplies for the house, but accessories also. 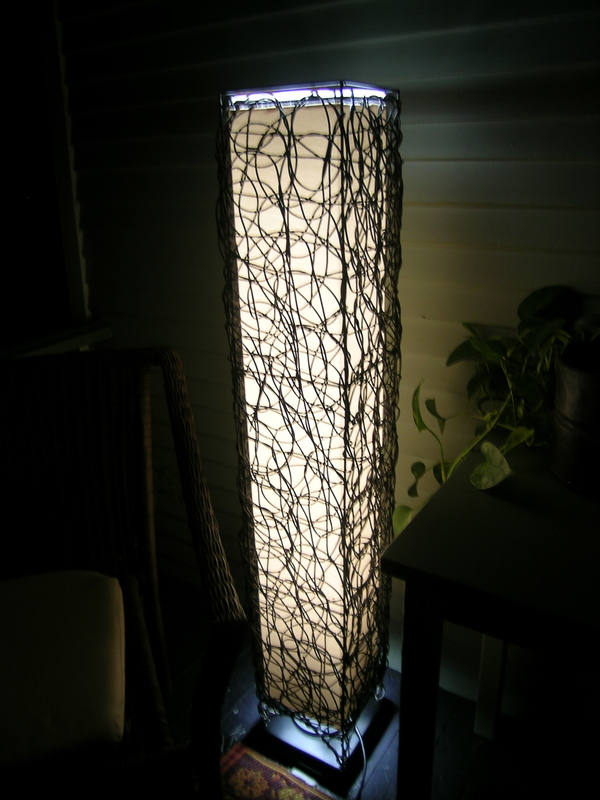 This lamp can sit outdoors, the fabric is Sunbrella, and it has an outdoor fluorescent bulb. Makes a beautiful glow. I knew it wasn’t IKEA.